Protect your business and save valuable time. Get your guests to complete the waivers prior to parties so they spend more time having fun. 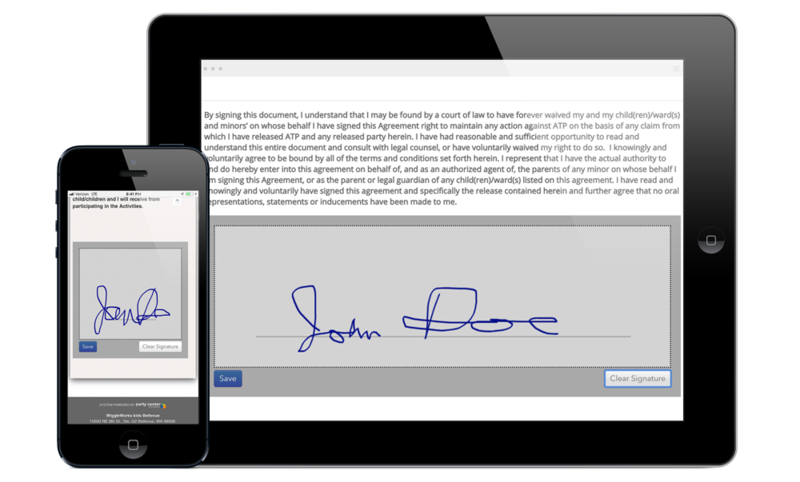 Your party hosts can have their guests sign waivers with a link. 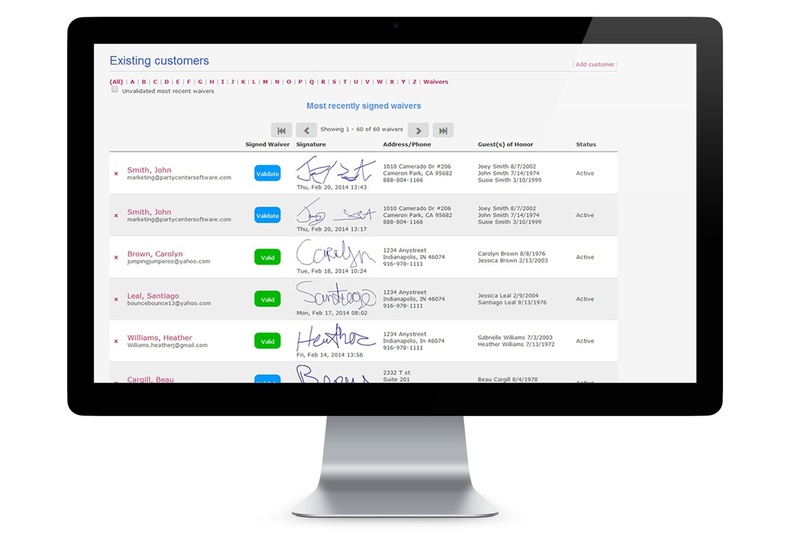 Look up repeat customers and check on the status of signed waivers in seconds. Your Waivers. Created Your Way. You have the ability to add initials for each section of the waiver to ensure your guests read the important parts. 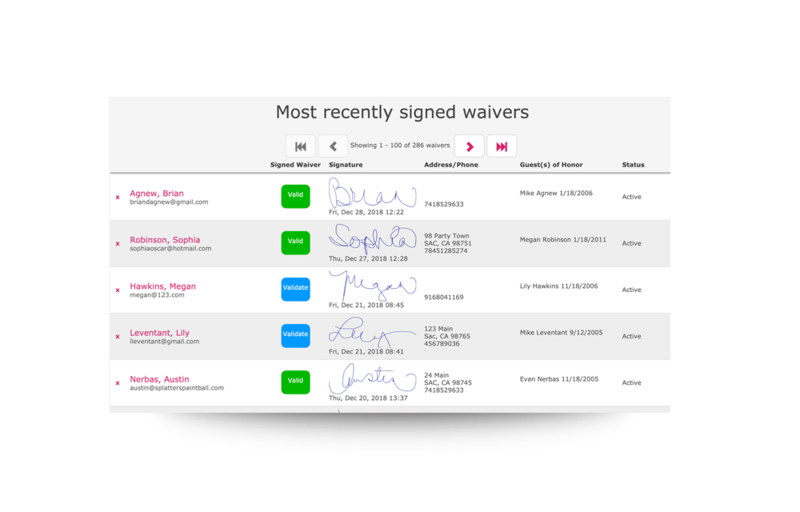 Set up your waivers so you know when guests need to sign another waiver. 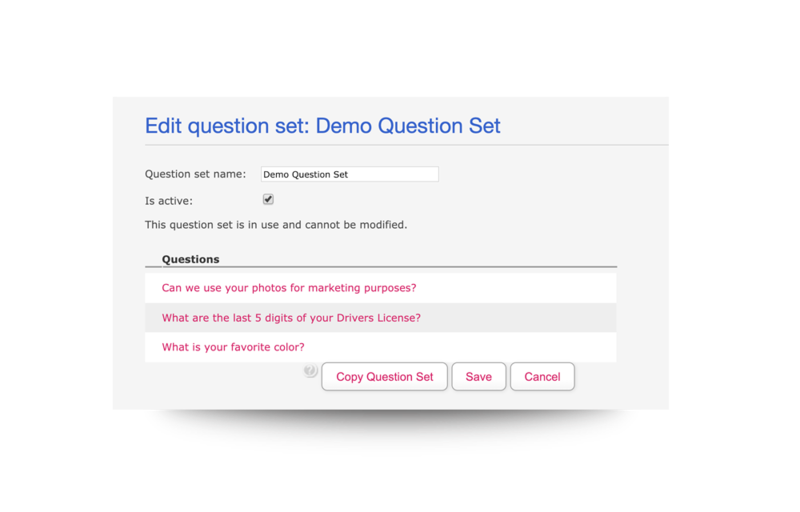 Create your own list of questions to capture in the waivers so you can segment your customers. 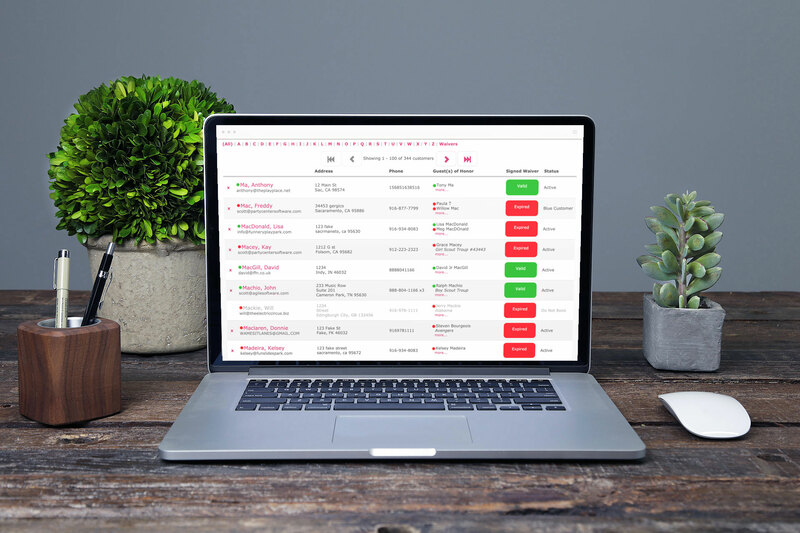 We have seen an amazing improvement in efficiency since we began using Party Center Software and have recommended it to others. The versatility of the system to handle a wide range of tasks and not needing proprietary hardware make PCS a great option. PCS has allowed our company to do business easier and more efficiently. It’s a seamless process! 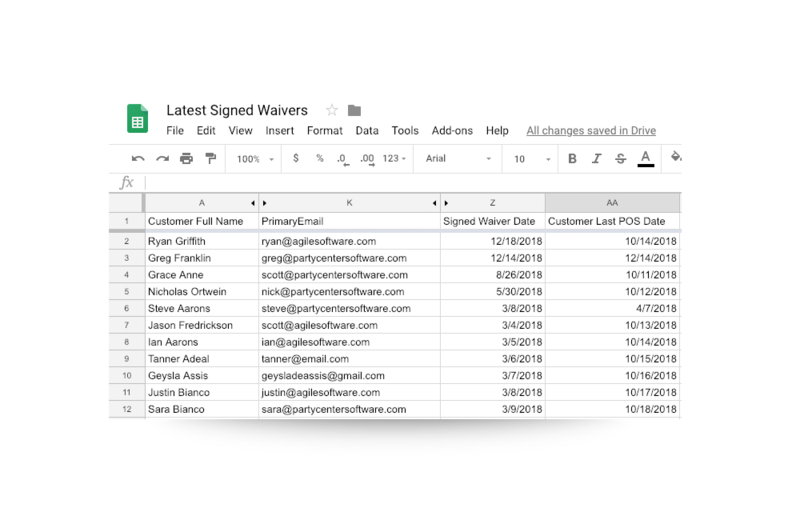 Get pricing for waivers and see how it works with other aspects of the software.